Galge Review – Ichiban Ja Nakya Dame Desu ka? 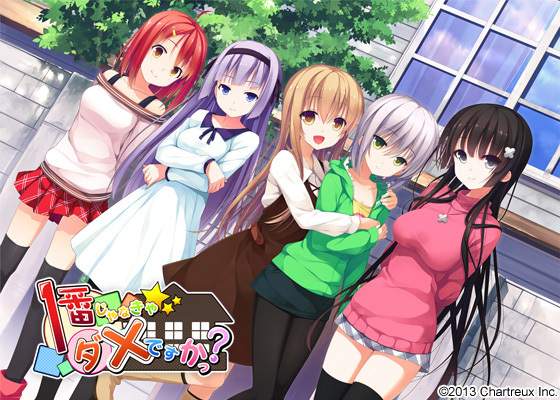 This was a game very anticipated by the Eroge community thanks to its demo receiving positive receptions. However, with it’s release in the end October, the general opinions turned 180° as everyone started to label the game as very weak. I took too long to finally get to this game, but since I was among the ones with great expectations for it, I decided to judge it for myself. Even though he is the protagonist of this story, Futaba Shou is practically a god of misfortune, since everyone that relates with him seen to meet with a terrible destiny. After having lost his parents he was sent to an orphanage where he lived until the house got burnt in a fire. He was eventually adopted by a new family, but his new parents also died, leaving him alone to take care of his new non-blood related sister. He finally get a chance to start a new life by moving to an apartment called Itokikan (“short period” house), where he will make new friends, and eventually, get a new family (that is composed exclusively of cute girls, of course!). So, this Shou fellow did great as a main character. At first he seems just like a lazy and shameless pervert, but he is actually very mature and capable, being able to achieve the impossible if it is for the sake of his loved ones (especially if it is for a cute imouto). What is unusual about this is how the heroines never make fun of his resolve and even trust in his abilities. He is also a very funny guy, having always a nice come-back for every time he is provoked. Since I have a weak spot for decent main character, I couldn’t help but give many positive points for this “shujinko” alone. Mitsuki Ruri is the responsible for the apartment and also Shou’s first obstacle before he can move to the Itokikan. She acts normal around everyone but she actually bears a terrible past involving her older brother (certainly the heavier among the heroines, but it’s never explored during her route), which turned her incapable to trust any men. She easily became my favorite character in the game thanks to her looking so much like Kuroneko from Oreimo. 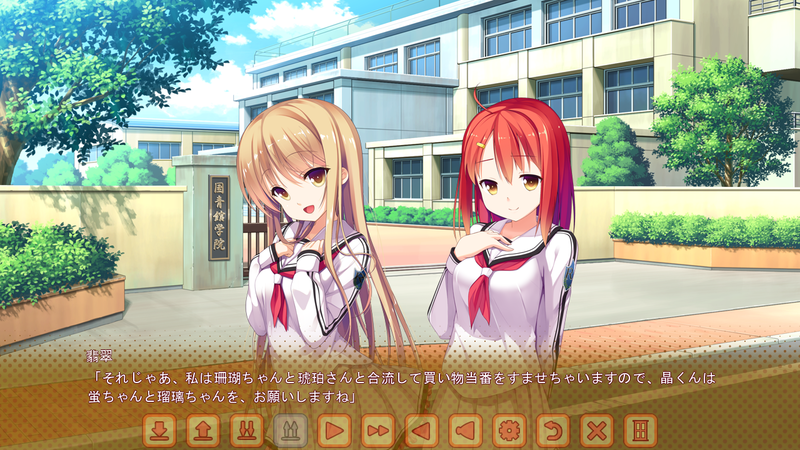 Both give the first impression of being a “tsundere”, while they actually are very honest and gentle girls. They also share the same first name, got similar character designs, and have “a thing” about sharing their boyfriends with their best friend. That’s right. 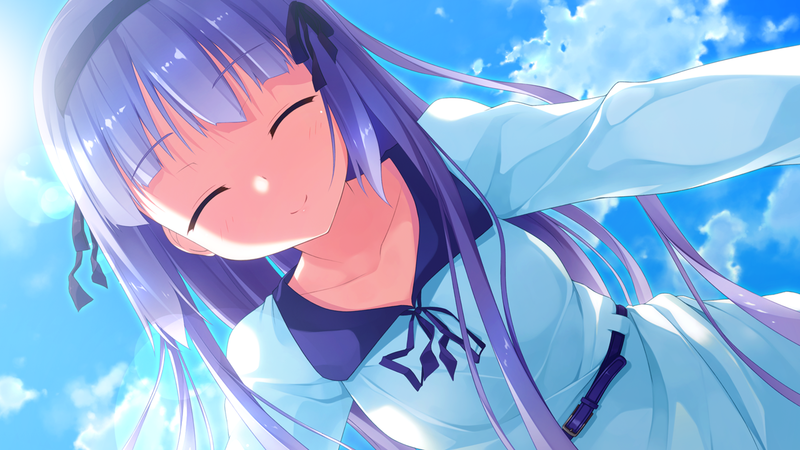 Ruri’s route is part of a bargain sale, where you buy Ruri and get Isawa Hotaru for free. 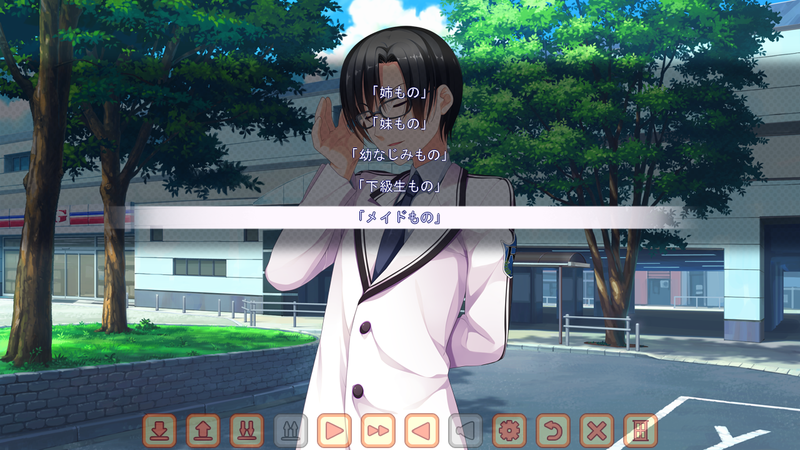 Aside for twin-sisters’ routes, this is pretty unusual for a Eroge. 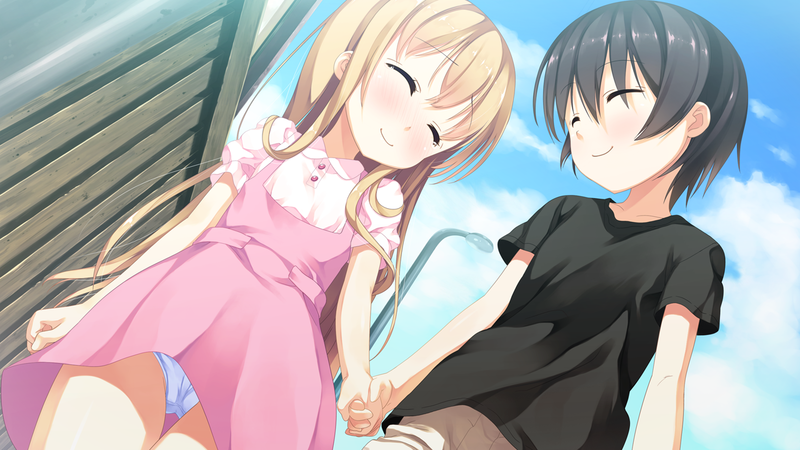 Hotaru is a self-proclaimed maid working at the apartment, even though Ruri wants her as a sister. She is an extremely energetic brat who loves to make pranks. 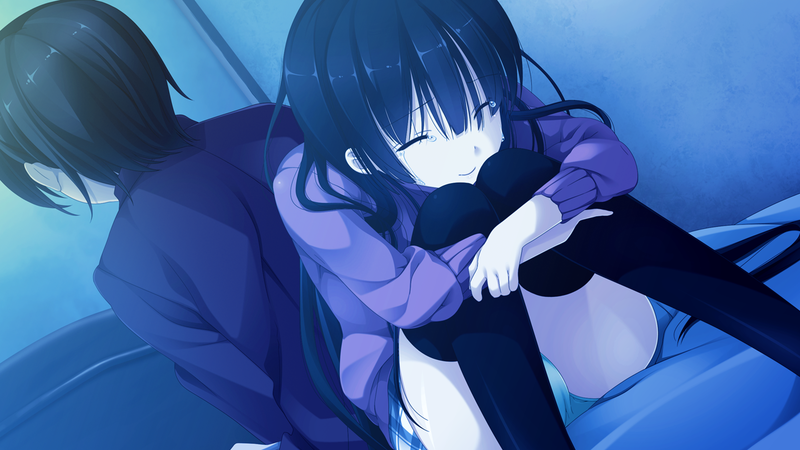 She grew up alongside Shou as both were sent to the same orphanage, thus considering him her older brother. 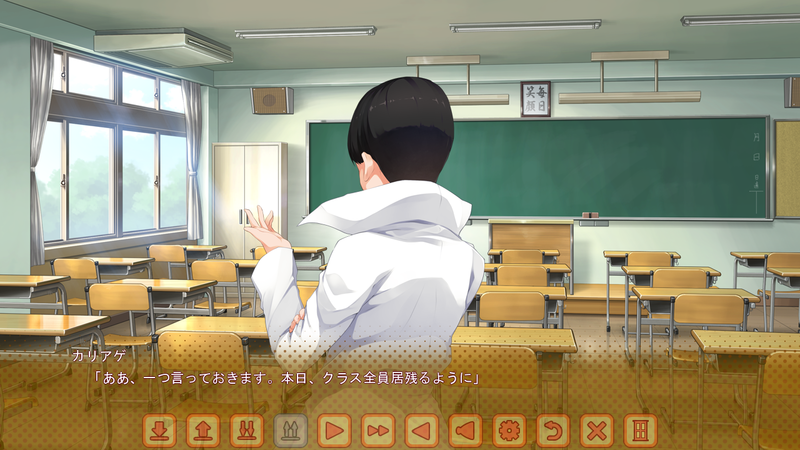 At first, it seemed Hotaru would be a full-fledge heroine, however, she is just an omake for Ruri’s route. Their connection is actually nicely done, giving them a strong sisterly bond that comes from her mothers being old friends. 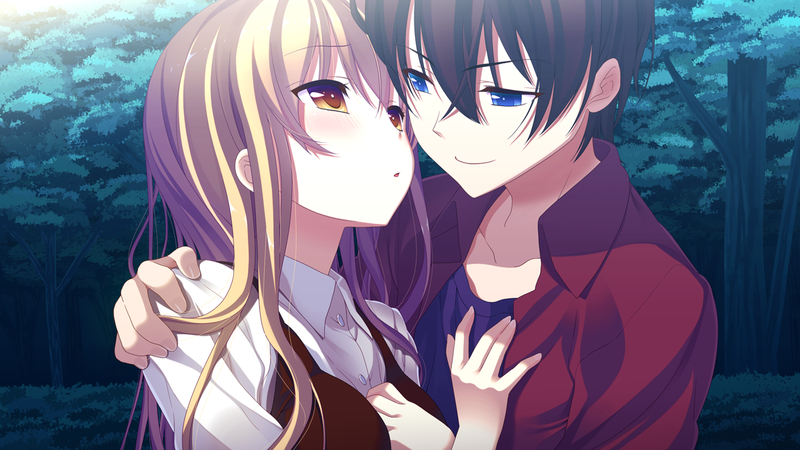 Nevertheless, this is no climax-related material, but it’s used during their route’s finale anyway, turning this route in one of the weakest when it comes to drama. Shijou Sango is the youngest in the apartment, being treated as everyone’s imouto. She is always together with her classmate and childhood friend Akane. They are known as “the kouhais” and are “super-BFF”, until Shou starts to get involved with them (this guy has to ruin everything), which leads them to remember their first love for Sango’s older brother, which didn’t end very well…What a minute! Does this mean they loved other male other than the protagonist? UNFORGIVABLE! THEY ARE NOT PURE ANYMORE! I SHALL BURN THIS GAME DOWN! 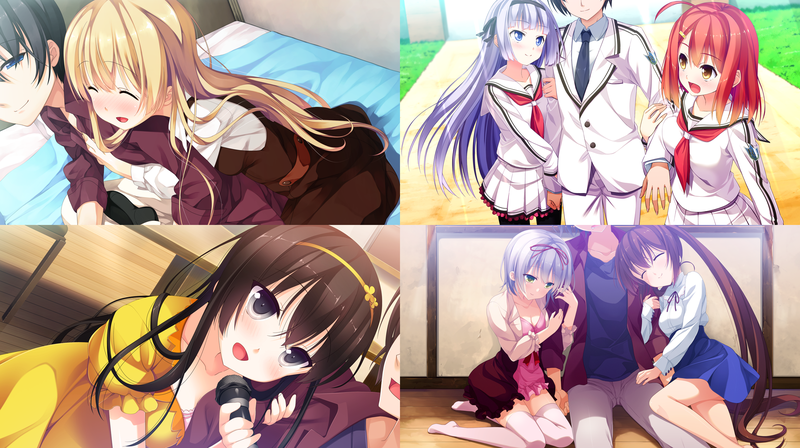 The last is appropriately the least popular heroine (probably because she is not an imouto). Ichimine Kohaku is the oldest of Shou’s new family, being treated as an older sister by everyone. While every heroines are already head over heels for the protagonist, Kohaku actually gets to stand out by being categorized as an “easy-catch”, since every cheap catch-up line Shou throws at her is “super effective”. 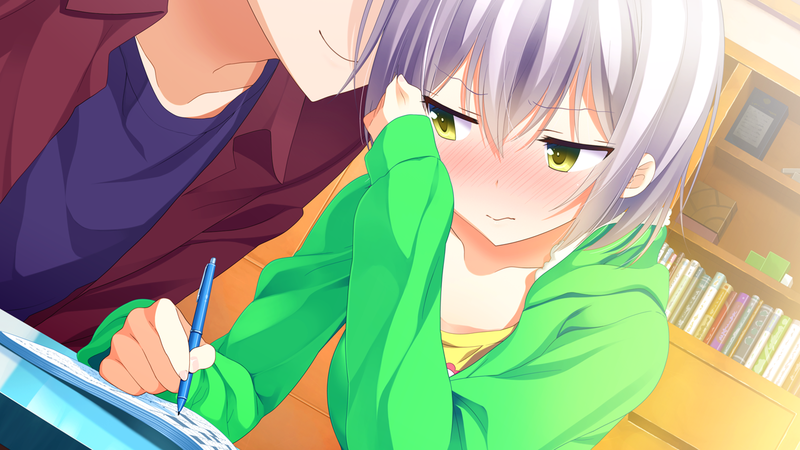 It’s really a shame that she is so unpopular, because her route is easily the best in the game, with a well-developed drama involving her horrible parents and her struggles to be loved by them anyway. Her voice actress (Gogyou Nazuna) makes a great performance on those parts, but her voice gave me the feeling of a much older woman (at least 25). I honestly got shocked when I found out she was just one year older than Shou. Something that is very important to mention is the great team of supporting roles. There is one beast friend or rival character for each route and they are all very charismatic with very cute designs and unique personalities. It is a shame there’s no specific route for them. It makes me feel that Rosebleu made this on purpose just so they could release a sequel/alternative game with the supporting cast as heroines (like many already do in this industry). Every heroine seems to have a background related with a younger/older brother, this not being necessarily a romance. Anyway, the protagonist represents, one way or another, the brother of their dreams. There is also a pattern used only on the names for heroines, where they all got a name of some kind of stone, except for poor Hotaku that is an insect, this could be why she didn’t get a route. The routes are very, VERY short, being 3 hours each at most. The demo for this game has about 70% of the entire game on it, it’s too much for a mere demo, but it seems this has become a common practice for Eroge’s demos. I finished this game in less them two days. The characters are interesting, I believe there’s no mistake about it, since most people that got interested on this game got attracted by its characters (What makes it a Chara-ge), but the development is very poor if not inexistent, creating very short and uninteresting routes. Which is very sad because I would love to see those characters being better used. The girls are very likeble and there is absolutely nothing to hate about them, but they do bother me with how fast they fallen in love for the main character. I kinda understand Ruri’s case since the entire first part of the game – which is equivalent to the demo’s content – is a mini-route about her (which actually makes her seem more like the main heroine than Hisui). 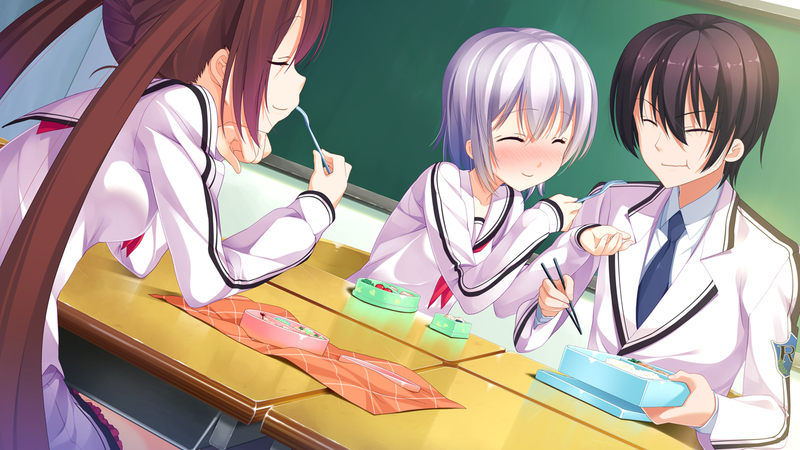 However, it seems so unnatural the way that the other heroines suddenly start to have obsessive affections for the protagonist. When the protagonist starts to officially date one the girls, but the other heroines suddenly don’t seem to care a bit about it. This is already a pretty normal thing on current Eroges, but it becomes specially weird in this game thanks to the heroines’ exaggerated “family-love”. 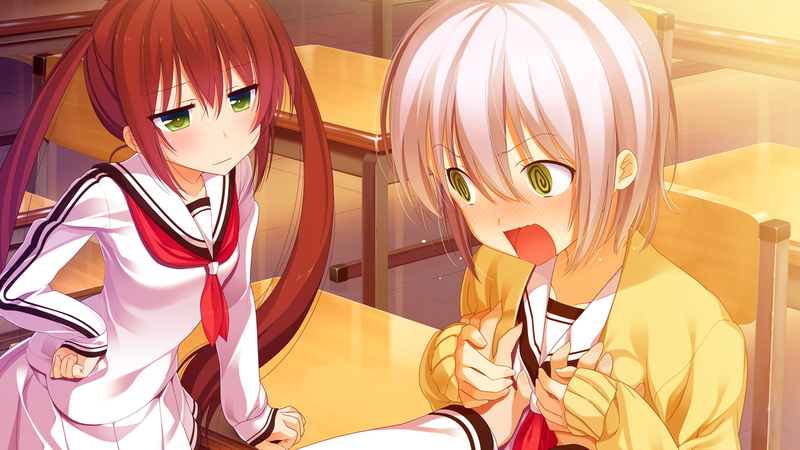 The weirdest route was Hisui’s. It’s a basic idea where a sudden problem forces the people from Itokikan to separate. 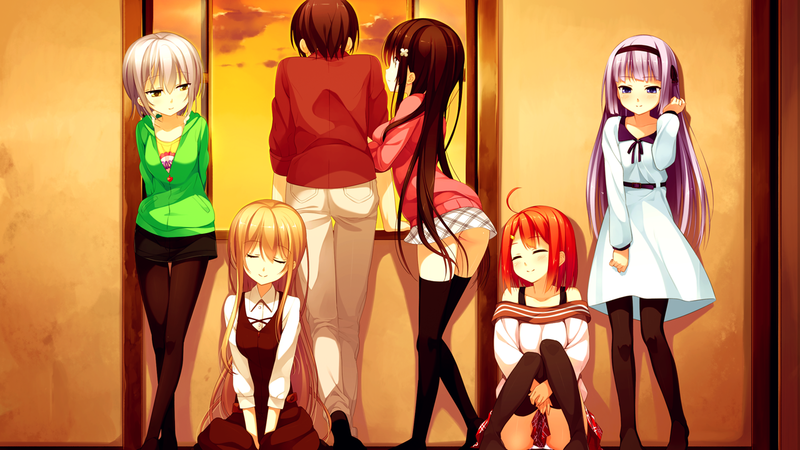 It’s very appropriated for the route of the main heroine to involve every other heroine in the game as well. The mistake was to give the villain role to a comic-relief character. It’s not like this character changes even a bit to make this role and it’s kind of difficult to take a story serious like this. There are some real good illustrations, I love the colors, but there are some problems with proportions and perspectives sometimes. Music is also ok, but nothing out of ordinary. Dubs are very good for the female, but Shou’s male classmates are very lame. Maybe they are the game’s producers themselves doing those minor-roles to save money. So in the end, was it a weak game after all, or it just had too big of an anticipation? I personally think this game was ok. It’s true that the story is weak and short, but I think it’s better than being ridiculous, boring or overly cliché. I would say that they can do better, but then I noticed that I played near to no other Roseblue’s game, except for Inpyuri, which I got tired and abandoned half-way through the demo. This entry was posted in Galge and tagged Galge, Review, Rosebleu. Bookmark the permalink.